Live in Florida long enough and you learn the seasons. People who live up north insists that Florida has no seasonal variation. My friends who spend their winters double digging out of their house and driveways have declared Florida winterless. But on a day like today, when I have the chance to be outside, I know it is fall. Besides the garage sale signs that go up around town on Friday afternoons, the lengthening shadows are the best indicator. 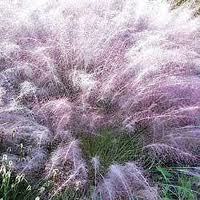 The muhley grass is in full bloom and the shimmering pink tufts are so lovely. Sit outside in the early morning or late afternoon and the birds also announce that it is fall. They have begun arriving from up north and act like any northern snow bird on vacation in Florida. They frolic and sing and flit around chirping and happy. The air conditioner gets turned off and the windows and doors open up. You hear the distance sound of traffic on the main road. You can hear the kids playing outside and the neighbors mowing their lawn. I love the fall season even if the trees stay green and the lawn does brown down. I LOVE not having to shovel snow or scrap ice…..at least I like having ice I can scrap with my debit card. Fall is here and winter is coming. It is awesome to be in Florida.